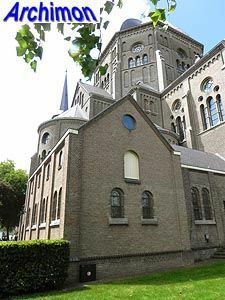 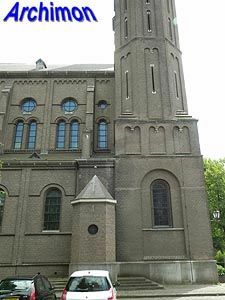 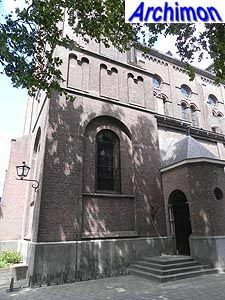 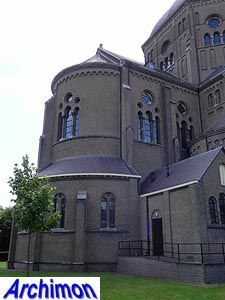 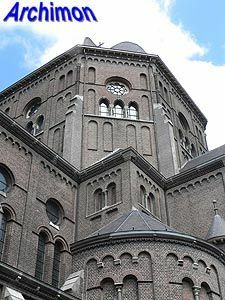 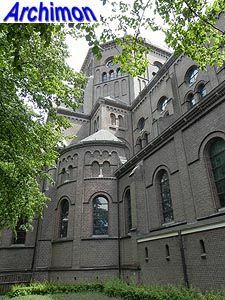 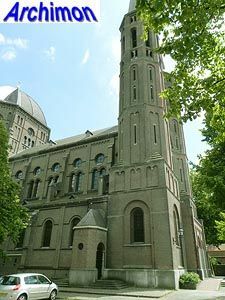 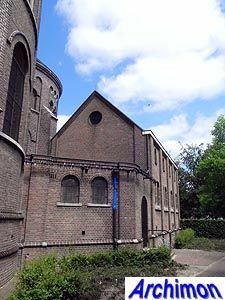 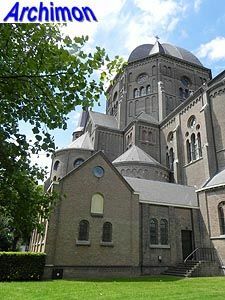 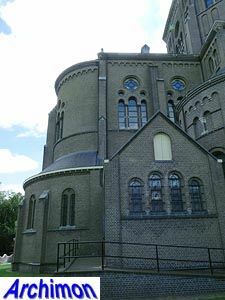 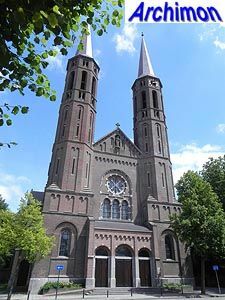 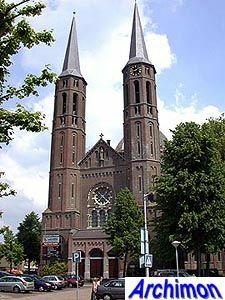 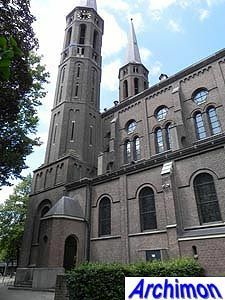 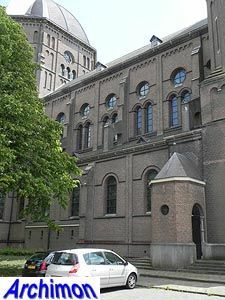 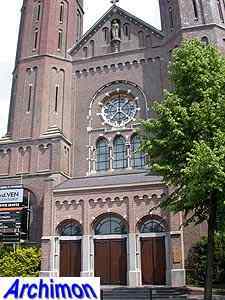 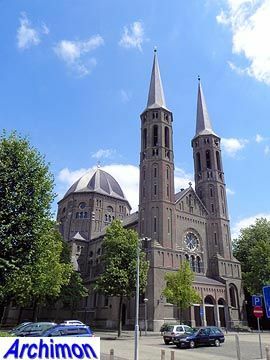 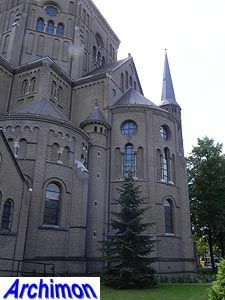 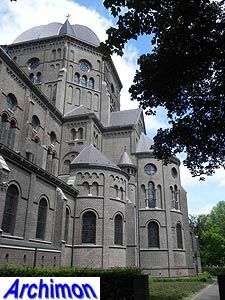 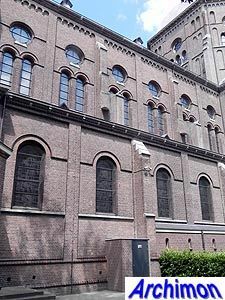 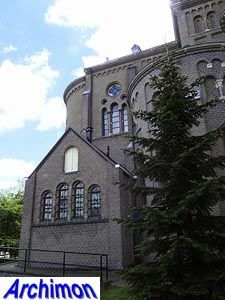 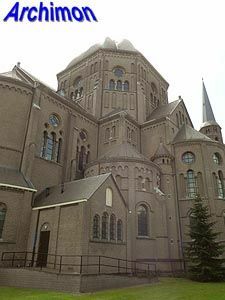 Athough Uden had known freedom of religion ever since 1631, and therefore its church had always remained catholic, the old building was demolished in 1886. 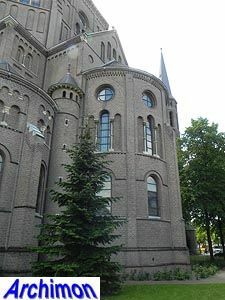 A new church was built, designed by architect C. Weber. 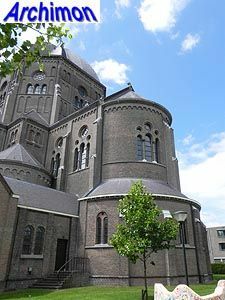 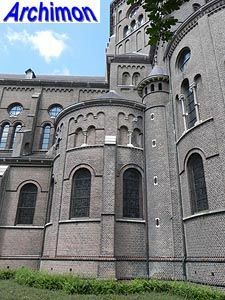 It is a three-aisled cruciform basilican church in Weber's typical neo-Romanogothic style with an octagonal crossing-tower with dome and octagonal western towers. 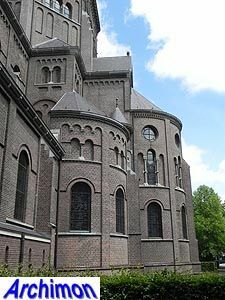 There are semi-circular apses at the ends of the choir and transept-arms; only the apse of the choir has an ambulatory. 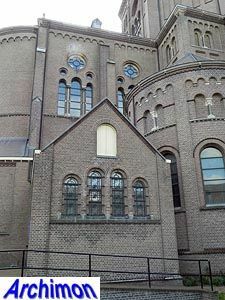 The interior is mostly executed in red brick. 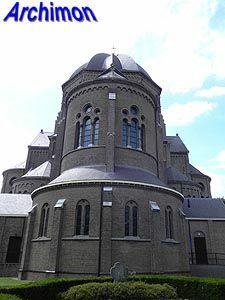 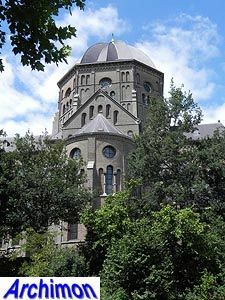 Like all the other domed churches designed by Weber, it dominates the landscape and can be seen from a considerable distance. 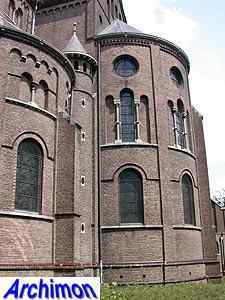 When these pictures were taken (December 2000 and May 2003), the church was being restored.